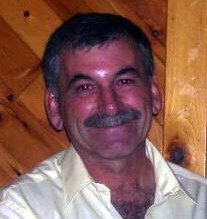 Obituary for Pierre Dennis Normand | Hillside Funeral Services Ltd.
Normand, Pierre Dennis (March 21, 1955 to February 3, 2019) - passed away peacefully at the North Bay Regional Health Centre after a courageous battle with cancer at the age of 63. He will be sadly missed by his wife Tricia (nee Presse). Loving father of Matthew, (Sophie) Michael, (Danielle) Andre and Elizebeth. Dear son of Paul Normand (deceased) & Gisele Normand. Also survived by his sister Chantel Lebreton and many nieces and nephews. As per his wishes there will be no visitation, a celebration of his life will be held on Saturday, February 9 from 1 to 4 pm at the family home in Callander. Donations in memory to the North Bay Regional Health Centre Foundation or a charity of your choice would be appreciated by his family.